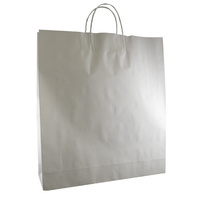 Description: Our White Kraft Paper Bags are made out of quality paper and feature twisted White paper handles. It is great for a variety of occasions, such as gift bags, sample bags and shoes bags. Different sizes provided.